Symphony Social Society or “SymSocial” is a group of young professionals who share a love for music. Members – many of whom are talented musicians in their own right – include attorneys, doctors, marketing gurus, real estate developers, financiers and creative professionals. Join us at one of our pre-concert or networking events to learn more about the group. Membership renews on July 1 of each year. Access to $30 tickets to at least six (6) special evening concerts in Pacific Symphony's upcoming season. Invitations to pre- and post-concert events, with the chance to meet guest artists. 20% discount on single tickets throughout the season for you and your friends,* plus discounts for last-minute rush tickets (from $20) for select performances. SymSocial Patron members provide financial support to Pacific Symphony by donating $150 annually. They are invited, but not obligated, to participate in the volunteer and philanthropic work required by an active membership. Join and order your tickets today! Contact Kay Linan at (714) 876-2393 or klinan@pacificsymphony.org. Part of your membership fee goes toward the Annual Fund, which supports all of Pacific Symphony’s programs on and off the stage. Through your support, the Symphony is able to bring great orchestral masterworks to life with repertoire ranging from the legendary classics to the music of today’s most prominent composers. Beyond the concert hall, your contribution helps us to inspire the lives of young, aspiring artists through our award-winning music education programs. 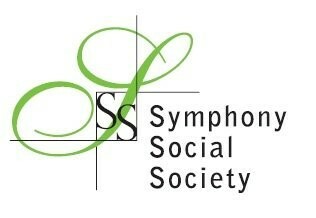 Find out more at www.facebook.com/SymphonySocialSociety.